The ‘5MW/15MWh’ LAES plant works by storing air as a liquid in above-ground tanks and, when electricity is required, the liquid air is brought to ambient temperature where it regasifies and turns a turbine, generating electricity at times of need – but without burning the gas and releasing emissions. 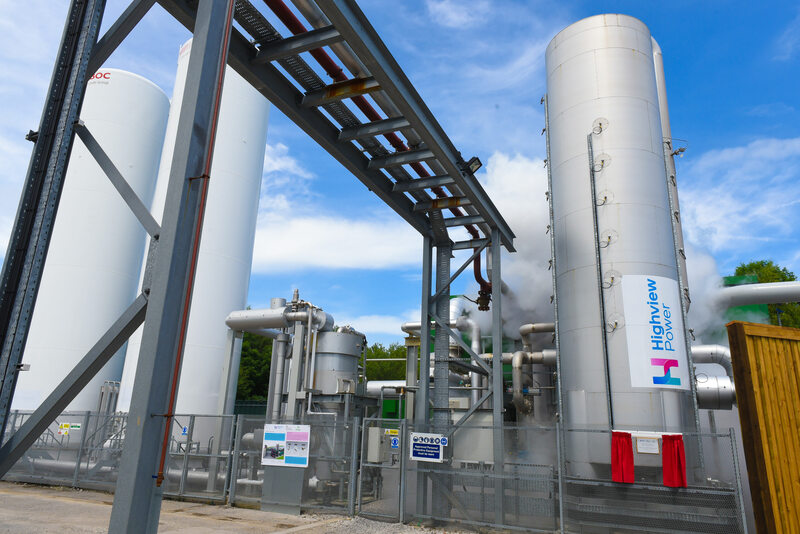 The Highview Power plant, at Bury, Greater Manchester, opened this month in partnership with recycling and renewable energy company Viridor. The plant paves the way for the wider adoption of LAES technology globally and to enable the broader deployment of intermittent renewable energy such as wind and solar power, which often produce energy when it is not needed. Highview Power completed a two-year Knowledge Transfer Partnership (KTP) with the University of Brighton, funded by Innovate UK, to develop understanding of the material used in high-grade power storage and to influence design guidelines for future plants. The project, delivered by University graduate and engineering PhD student Tim Gardhouse, and supervised by a team of University academics, enabled a new understanding of the company’s High Grade Cold Store (HGCS), a key component of the Liquid Air Energy Storage (LAES) plant. The University used lab-scale test rigs to develop knowledge and understanding of the cryogenic performance of materials within the cold store, and was able to develop models of the HGCS, simulating temperature changes across the thermal store. The models will be fed into the design guidelines for future cold stores, ensuring cost-effective engineering and procurement practices. The University is now working with Highview Power on a 12 month industrial research project, also funded by Innovate UK, to further develop the High Grade Heat Storage element of the LAES. Researchers at the University’s Advanced Engineering Centre (AEC) are developing a low-cost material scheme in its thermal store, building on the previous KTP and the AEC’s core expertise in thermal fluid systems. 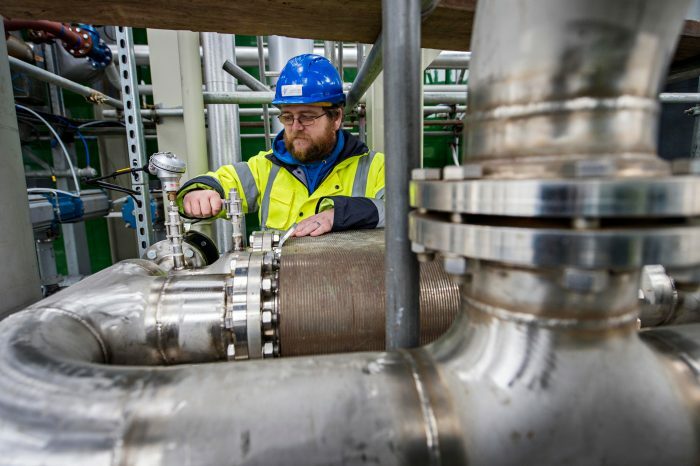 The Bury LAES plant, backed by £8m UK government funding, is still small scale for LAES technology at five megawatts (MW), but the company is in talks to build larger commercial projects ten times the size. Although there are 50MW lithium-ion battery facilities being built by firms such as EDF Energy, Highview Power said the technology could be scaled up to hundreds of megawatts and has the advantage of using equipment with long lifetimes (30-40 years), unlike batteries which need replacing every ten years. The company is considering sites for much larger plants and has opened a US office and is considering expanding in Europe and Australia. This entry was posted in Events, Life at Brighton, Projects, Research, Uncategorized.